Tools for use in language art classes. WHO: Teachers looks for additional resources in their classrooms. HOW: This service could not be any easier! Teachers can get resources without signing up for an account. Simply open your web browser, go to https://www.oercommons.org, type your topic into the search bar, choose subject/grade level/standards (optional), and have resources, lesson plans, activities and more instantly! Accounts are free, so I highly recommend signing up for one. WHEN: This website is a phenomenal resource while planning your upcoming lessons. In addition to your textbook (if you use one), you will find a wide variety of digital resources here. OER Commons has put together an astonishing network of links to so many different topics. I have shared this website with a few of the teachers I work with, and they immediately bookmarked it to use in their classroom. The dropdown menu for grade level includes everything from preschool to adult education. See if there are any summer enrichment programs hosted by the school or any they may recommend. USA TODAY and Curriculet have announced their 2015 National Summer Reading Challenge! Curriculet and USA Today are challenging every student across the country to read at least 20 minutes every day over the summer. Students who don’t read over the summer can lose 2 months of school progress. This phenomenon is known as the summer slide. Visit http://www.curriculet.com/blog/summer-reading/ for more details. DIY.org offers 4 week long courses to students on a variety of topics that stimulate creativity and ingenuity. First camp is only $10, after that the regular price is $39. In order to participate a device with iOS 8.1 or later and a DIY Membership is required. Visit https://diy.org/camps for more details. Memrise functions on the Freemium model. A premium account will give users a coach to help motive and guide, but the free account still allows users to complete courses. There are many different options and many foreign languages that can be studied. Visit https://www.memrise.com/ for more information. IXL offers family memberships at $9.95/month to help with Math and Language Arts skills practice. Visit: https://www.ixl.com/ for more information. Prodigy Math Game boasts that students who play for 1 minute at school in turn play 1.5 minutes at home. Parents can set up home accounts for their student in grades 1-8. Students will be engaged in the Prodigy Game while reinforcing math skills targeted at Common Core Standards. Students can play for free and parents can access reports to see their child’s progress. Premium version allows students to upgrade quicker, unlock more items, and a few other options. Announcing the 2015 National Summer Reading Challenge from USA TODAY and Curriculet! We’re challenging every student across the country to read at least 20 minutes every day over the summer. Students who don’t read over the summer can lose 2 months of school progress. This phenomenon is known as the summer slide. USA TODAY and Curriculet have partnered to provide a free, turnkey summer reading program that motivates students to read while giving teachers, administrators, and parents a way to encourage and monitor student reading. The 2015 National Summer Reading Challenge is not your typical summer reading program. It’s engaging and fun for all students; and it beautifully enhances your existing program with engaging access to informational texts. For more information, visit Curriculet’s site by clicking here. Memrise – Engaging courses for students and teachers. Who: Teachers and students looking to extend learning and supplement classroom content. How: Memrise uses the freemium model. Teachers and students can sign up for a free account in which they can log in and take courses. The courses also feature “mems”. These are visual clues created by users to help remember answers. There are many different courses available, including basic languages, GRE vocabulary, and SAT/ACT vocabulary. The premium version ($9/month or $59/year at the time of this post) gives the user data to help with focus, best times, and difficult words. Teachers can also create groups to utilize their free multimedia flashcard game. When: This would work great as supplemental material for classroom assignments. Memrise would also function well as a booster for students in need of extra help. Memrise would also be great for extended lessons for students who would like to work ahead. 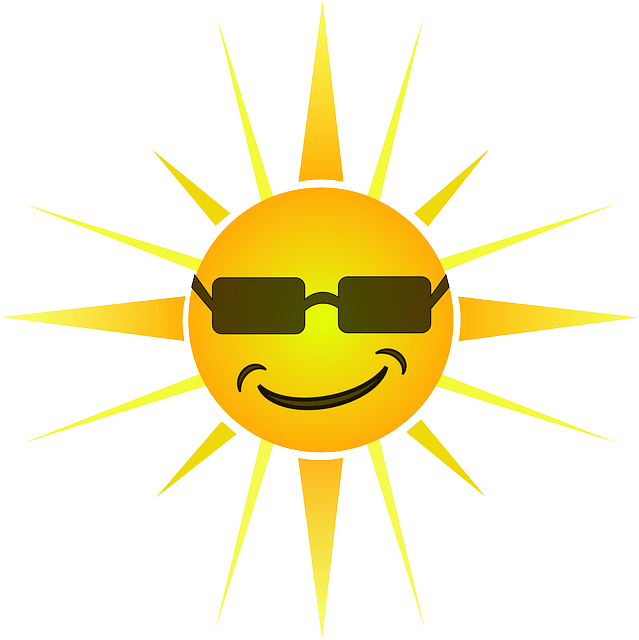 This would also work really well for students and parents that are looking to continue learning throughout summer break-time. About Memrise: Memrise was created around three principles: Science, Fun, and Community. The founders of the website are experts in “Brain Science”. The program engages the user with quizzes that make them feel like you are playing a game. After trying out the course in German (a language I studied years ago in high school), I found myself engaged and wanting to do more. At this point I decided to try a course I knew nothing about, the Korean Alphabet. In less than 5 minutes, I found myself engulfed in learning a new language, even if it were simply the alphabet. This program is great as schools are heading into summer break and would be something to recommend to your students. Below are the general guidelines for the project along with time frames. We are going to focus on dreams in this version of #twima. We will be using iBooks Author this time to increase the interactivity and ease of transferring your work to the book. Have your class discuss dreams. The dreams they write about could be personal dreams, actual night dreams, dreams for the world, dreams of their culture or dreams that relate to academic areas they currently are part of (I can envision students writing about dreams of solving problems or placing themselves in historical events). 1. Have your class discuss dreams. The dreams they write about could be personal dreams, actual night dreams, dreams for the world, dreams of their culture or dreams that relate to academic areas they currently are part of (I can envision students writing about dreams of solving problems or placing themselves in historical events). 2. Submit these written dreams to me via google drive, word document or pages document. 3. These written dreams may include artwork or photos your students create if they wish. Please make sure students use their own artwork and photos. I would like to avoid any copyright issues. If they choose photos from the internet, please make sure they are acceptable and copyright free. Once the dreams are submitted, we will pass the written work on to another group of teachers and students who will take those written dreams and turn them into multimedia for the iBook. This media could be videos, photos, widgets and much, much more. The sky is truly the limit. The final piece of this project will be taking all the written dreams and multimedia pieces and weaving them into one big story. Justin and his students have agreed to make the larger story based on the dreams your students develop. Don’t worry! Your student work will not be changed in any way. Their work will simply be woven into a larger story. When: #TWIMA2 started March 1, so now is the time to get involved! Visit http://thetwimaproject.weebly.com/ for more information, contact info, and how to join! WHO: Teachers looking to have students pre-draft writing before sending to peer/teacher edits. HOW: HemingwayApp.com is a website designed to help with editing writing assignments. 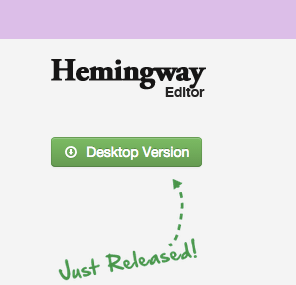 After pasting in their writing sample, HemingwayApp identifies areas for potential improvement. Examples of these areas are hard to read sentences, use of adverbs and use of passive voice. It also identifies the number of paragraphs, sentences, words and character. Identified areas for correction are color coded for easy recognition. By moving your cursor over there error, the program gives suggestions for revision to the user. The program also gives the user an identified grade level readability to assist with your target audience. When: Regardless of the assignment type, this free tool helps students to build their writing skills. I have used this tool many times and found it to be useful. Hemingway App may not pick up on spelling mistakes and incorrect uses of words (their, there, they’re). However, it is still a powerful tool for teachers and students both. Use it yourself for classroom communications, or checking readability of assignments.